Dr. Kamil Ugurbil is a PI for this project, jointly with Dr. David Van Essen from WashU. He has responsibilities for the overall management of the project, with particular responsibility for efforts centered at UMinn. Particularly, development of MR sequence strategies and hardware, and optimization of data acquisition are being carried out under Dr. Ugurbil's direction and supervision. Dr. Ugurbil is a pioneer in the arena of high-field MR development. He is founding Director of the CMRR (Center for Magnetic Resonance Research) at UMinn. He has extensive experience in leading major technology development efforts, including the world’s first 7T scanner that provided preliminary data for this grant. Dr. Van Essen is the Edison Professor of Neurobiology and Department Head of Anatomy and Neurobiology at Washington University. He is a Principal Investigator (PI) for this project, jointly with Dr. Kamil Ugurbil from UMinn. He is responsible for overall management of the consortium’s efforts as a whole, with particular responsibility for efforts centered at WashU. Dr. Van Essen has more than two decades involvement in mapping structure and function of the primate cerebral cortex. tractography, functional connectivity, and cross-modal comparisons. Dr. Barch is a Professor of Psychology, Psychiatry and Radiology. She is also the Co-Director of the Cognitive Control and Psychopathology Laboratory at Washington University. Dr. Barch is overseeing the implementation of behavioral testing paradigms (NIH Toolbox and additional measures) and the collection of behavioral testing data over the course of the project. This includes working with the NIH Toolbox investigators and other colleagues to implement their behavioral testing software for use in the HCP, creating computerized administration versions for our additional tasks, overseeing the training of research assistants who administer these tasks, overseeing QC for behavioral tasks, and ensuring ongoing reliability in the administration and collection of these tasks. Dr. Beckmann is a Principal Investigator at the Donders Institute, Radboud University Nijmegen. He brings his expertise to the HCP on the analysis of MRI data, including multivariate modeling of fMRI data. This includes advising on novel analysis methods based on temporal-concatenation Independent Component Analysis and Dual regression. Dr. Behrens is a Wellcome Trust fellow and University Research Lecturer at the University of Oxford, and an honorary University Lecturer at University College London. He has expertise in measuring anatomical connections with diffusion MRI, in cortical and subcortical connectivity-based parcellation, and in relating anatomical connectivity to functional responses. Dr Behrens is supervising the research into diffusion tractography and diffusion acquisition schemes. Dr. Bucholz is a Professor of Neurosurgery and the Medical Director for the St. Louis Regional MEG Center at Saint Louis University. Dr. Bucholz heads the SLU team, providing access to and expertise in MEG (combined with EEG), overseeing the acquisitions at St. Louis University and consulting regarding MEG procedures and tasks. 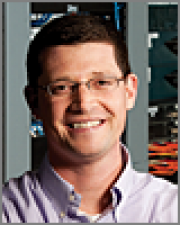 Dr. Bucholz has expertise in MEG image acquisition, interpretation, and analysis of MEG data. Dr. Corbetta is the Norman J. Stupp Professor of Neurology and the Head of Stroke and Brain Injury Rehabilitation Section at Washington University. He is involved in the experimental designs for fMRI and MEG; the interpretation of MEG results and their integration with fMRI/HARDI. Dr. Corbetta is a behavioral neurologist with 20 years experience in functional neuroimaging and cognitive neuroscience. He is a leader in the study of cortical networks related to attention, which is one of several domains of interest in the HCP. He is also involved in cutting edge research on the connectivity changes associated with brain lesions. Finally, he is the coordinator of a European Union Center grant that involves seven different countries on the relationship between different spatial-temporal measures of cortical connectivity (LFP, MEG, iEEG, fMRI) in humans and monkeys. Dr. Della Penna is a Researcher of Physics at the University of Chieti, G.D’Annuzio. She is responsible for the development of protocols for collecting R-MEG data and for overall R-MEG data analysis. Dr. Feinberg is an Adjunct Professor of Neuroscience at U.C. Berkeley and of Radiology at UCSF and president of Advanced MRI Technologies (AMRIT). He is an MR physicist with expertise in pulse sequences and MR scanner design. Dr. Fries is the Director of the Ernst-Strüngmann-Institute in Cooperation with the Max-Planck-Society. He oversees the development of new analysis tools for MEG source level interactions. Dr. Fries’ research interests include the mechanisms and potential functional roles of cooperative neuronal dynamics, using multi-site recordings in awake, behaving animals, as well as electroencephalographic (EEG) and magnetoencephalographic (MEG) recordings. Dr. Garwood is an expert in adiabatic pulses, which we will incorporate into the new sequences in the phase I (optimization phase) of the project. He is assisting in this effort, developing, supplying and evaluating the performance of the needed pulses and modifying them as necessary. Dr. Garwood is the Associate Director of CMRR, UMinn, and as the most senior person on the UMinn MR team, he will also have responsibilities on the overall execution of the proposed program. Dr. Garwood will succeed Dr. Ugurbil as the PI of the UMinn Team should there be an unforeseen interruption in the ability of Dr. Ugurbil to continue as the PI. Dr. Goate is the Samuel and Mae S. Ludwig Chair in Psychiatry, Professor of Neurology and Genetics, and Director of the Hope Center for Neurological Disorders at Washington University. Dr. Goate will design and execute the genetic component of the HCP. Dr. Goate is a molecular geneticist with more than twenty years experience working on the genetics of neurological and psychiatric diseases. During the last three years Dr. Goate has been involved in several genome wide association studies of addiction, Alzheimer's disease and Parkinson’s disease. Dr. Goate brings this expertise to the HCP project, contributing to genome-wide association studies of neuroimaging and neurophysiological phenotypes derived from the Connectome. In addition to her expertise in carrying out such analyses in relation to disease phenotypes, Dr. Goate has been a leader in the use and application of quantitative endophenotypes in the genetics of complex traits. This expertise will be applied to the many neuroimaging phenotypes to be studied in the HCP. Dr. Green is a psychologist with expertise in developing and refining behavioral tasks, especially in relation to delay discounting. He is serving as a consultant to our behavioral team. 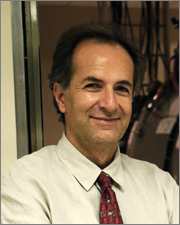 Dr. Harel is an Associate Professor in the Center for Magnetic Resonance Research at the University of Minnesota. He is participating in data acquisition, analysis, and evaluation of 7T fMRI data, and overseeing the development of these techniques. Dr. Harel has expertise in high-resolution, high-specificity fMRI applications in humans and animal models. Dr. Heath is the Spencer T. Olin Professor in the Department of Psychiatry at Washington University. Dr. Heath has overall responsibility for the subject recruitment phase, overseeing preparations for field work (leading interviewer training sessions), providing leadership to the project’s research team, leading data analysis efforts, and monitoring project productivity throughout. He is the PI of the Missouri Adolescent Female Twin Study (MOAFTS), as well as the former PI of one of the two grants supporting the Missouri Adolescent Male Twin Study. These studies are two major sources for subject recruitment. Dr. Heath also serves as Center Director and Scientific Director of the Midwest Alcoholism Research Center (MARC, AA11998). Dr. Heath is an experienced genetic epidemiologist and alcohol researcher, former recipient of the Research Society on Alcoholism Distinguished Investigator award, and author of some 400 publications. Dr. Heath is an experienced behavioral and psychiatric geneticist who has an extensive track record of telephone diagnostic interview studies in Australia and in Missouri and an extensive history of involvement in twin-family studies, including participation in studies on the Vietnam-Era Twin Panel as well as Australian Twin Register and Missouri Family Register. 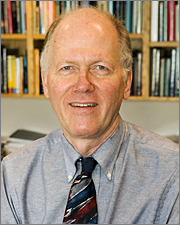 He has also been an important contributor to thinking about research design, and approaches to data analysis and hypothesis testing, particularly as concerns genotype x environment interaction effects in substance use disorders in behavior genetics. Dr. Heath established the first study of the MOAFTS twin cohort and has been following them for the past 15 years. Key members of his research team (coordinator, subject tracker) have worked with him for over 15 years, achieving superlative research participation rates for his research studies. Dr. Jenkinson is the Head of Structural Image Analysis and a University Research Lecturer in the Functional Magnetic Resonance Imaging of the Brain Centre at the University of Oxford. Dr. Jenkinson is contributing to and supervising the pre-processing research and FSL development and integration. Dr Johansen-Berg is a Wellcome Trust Senior Research Fellow and Reader in Clinical Neurology at the University of Oxford. She is a neuroscientist with experience in functional and structural MRI and has a particular interest in neuroanatomy and brain plasticity. Dr Johansen-Berg is involved in the design and interpretation of tractography, parcellation and cross-modal integration approaches. Dr. Larson-Prior is a Research Associate Professor in the Department of Radiological Sciences at Washington University. She has a strong background in human as well as animal electrophysiology. 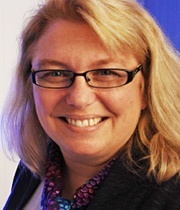 Dr. Larson-Prior is serving as the liaison/coordinator between the SLU MEG facility and Wash U. She will facilitate the transmission of data between all members of the team and assist in pre-processing as needed. Dr. Larson-Prior is also responsible for ensuring that task and resting state data are collected as the team has defined, interfacing with the SLU team on image data acquisition and management. Dr. Lenglet Dr. Lenglet is an Assistant Professor at the Center for Magnetic Resonance Research, Department of Radiology and Institute for Translational Neuroscience Scholar. His research interests include clinical and neuroscience applications of (high field) MRI, neurodegenerative diseases, anatomical and functional connectivity mapping and neuroanatomy. Dr. Lenglet is contributing his expertise to the development of HARDI data analysis. Dr. Romani is a Professor of Physics at the University of Chieti, G.D’Annuzio. He is providing expertise in analysis of MEG data, including the analysis of band-limited power, which is essential for understanding how MEG signals are related to cortical circuitry and function. He is responsible for MEG-fMRI data integration and coordinates the activities at the University of Chieti. Dr. Marcus is an Assistant Professor of Radiology and the director of the Neuroinformatics Research Group and the Neuroimaging Informatics and Analysis Center at Washington University. Dr. Marcus has expertise in neuroinformatics, including the development of data management systems, ontologies, and visualization tools. His laboratory develops and supports the XNAT imaging informatics platform, a widely used system for managing imaging and related data. Dr. Marcus is a vocal advocate for open data sharing, which he practices through the OASIS and XNAT Central projects. Dr. Marcus leads the Informatics subgroup of Operational Team 7. In this role, he is overseeing the development, deployment, and ongoing operations of the Connectome informatics platform, which will include a data management system, desktop visualization environment, and a suite of scientific productivity tools. He is also working closely with the other OTs to ensure that the data acquisition workflow proceeds smoothly and that all data are captured into the Connectome data repository. Dr. Miller is a Royal Academy of Engineering/EPSRC Research Fellow and University Research Lecturer of Clinical Neurology at the University of Oxford FMRIB Centre. Her research focuses on developing new MRI data acquisition techniques for investigating the brain, particularly in the use of Steady-State Free Precession (SSFP) pulse sequences. She is contributing her expertise to investigators using these techniques in our project. Dr. Myerson is a Research Professor of Psychology at WashU with expertise in behavioral economics and cognitive aging. He serves as a consultant to our behavioral team. Dr. Nichols is a Principal Research Fellow and Head of Neuroimaging Statistics at the Applied Neuroimaging Lab at Warwick University He is the imaging genetics expert on the HCP, interfacing between the statistical geneticists and the imaging experts, developing the appropriate imaging phenotypes and models to perform genetic association analyses that relate to brain structure and function. Dr. Oostenveld is a Senior Researcher and MEG physicist at the Donders Institute, Radboud University Nijmegen. He is contributing his expertise in MEG source analysis, code development (FieldTrip) and is co-supervising the ESI postdoc. Dr. Perlmutter is a neurologist with expertise in behavioral studies and also in database management. He is serving as a consultant to our behavioral team and our informatics teams. Dr. Petersen is the James S. McDonnell Professor of Cognitive Neuroscience and a Professor of Neurology and Radiology at Washington University. He is the Director of the McDonnell Center for Systems Neuroscience which has made a major institutional contribution in support of this grant. He has over 24 years of experience in neuroimaging, with most of that time devoted to functional studies of attention, memory and language. He recently has focused on the use of R-fMRI applications for cortical and subcortical parcellation, and for describing large scale brain networks. He is overseeing gradient analysis in R-fMRI, contributing to the analysis and interpretation of functional and behavioral studies, as well as integration between modalities. Dr. Petersen is collaborating strongly with Olaf Sporns on development of network analyses of the connectome data overall, and serves as a deputy leader, able to step in when Dr. Van Essen is absent. Dr. Pizzella is a Professor of Physics at the University of Chieti, G.D’Annuzio. He is responsible for the overall handling of MEG data at the University of Chieti, R-MEG code optimization for high performance computing, and pre-processing of MEG data. Dr. Prior is a Research Associate Professor of Radiology and Director of the Electronic Radiology Laboratory (ERL) of the Mallinckrodt Institute of Radiology. The ERL serves as the local IT core for this program at Washington University. Dr. Prior chairs the IT core for the NCI Network for Translational Research, and was awarded a Shared Instrumentation Grant to fund a “High Performance Biomedical Imaging Computer Resource.” This supercomputer system is currently in operation, offering a theoretical maximum computation capacity of 18.6 TFLOPS (trillion floating point operations per second) and forming the basis of a new High Performance Computing Resource Center for Washington University, under Dr. Prior’s leadership. Dr. Prior also has an active research collaboration focusing on EEG current source density imaging and the creation of accurate volume conductor models. Within HCP, Dr. Prior oversees the coordination of tools and processes for gathering data from multiple sites. Dr. Province is a Professor of Genetics and Director of the Division of Statistical Genomics at Washington University School of Medicine. He is contributing expertise to the recruitment, behavioral testing and genotyping team, the integration and modeling team, and the informatics, usability and outreach team. Dr. Province is a theoretical as well as an applied statistical geneticist who specializes in complex trait human gene discovery and validation, pathway analysis, and the design and conduct of multicenter studies and clinical trials, especially family and genetic studies. He has published over 260 applied or theoretical scientific publications. He has made most of his methodological contributions to population and statistical genetics. He has developed longitudinal, growth curve pharmacogenetic models of treatment effect, Poisson process genetic models, frailty models for age-at-onset phenotypes, regression tree/recursive partitioning linkage analysis methods, meta-analysis linkage procedures, and novel sequential multiple decision procedures to simultaneously identify all promising areas in a genome scan while controlling for overall type I and type II error rates. He has also developed a generalized systems biology model and program for performing multivariate and multilocus genetic analysis. He is the Coordinating Center PI of several national and international multicenter genomic studies, including the NHLBI Family Heart Study, the GOLDN Study, and the Long Life Family Study. Dr. Raichle is a Professor of Radiology, Neurology, Neurobiology and Biomedical Engineering at Washington University. Dr. Raichle is contributing in several important ways to the HCP at Washington University with his well-established scientific expertise in functional brain imaging using PET and MRI and his administrative role in the Mallinckrodt Institute of Radiology (MIR). As the administrative head of the Neuroimaging Laboratories in the MIR he oversees the space and resources of over 100 FTEs, many of whom are active participants in the HCP. Coordinating these resources in the best way possible to facilitate the activities of the HCP is a high priority for him. Dr. Raichle is also the director of East Building MR facility (MRF). The new 3T MRI scanner designed for the HCP will be transferred into the MRF bay 2 after initial testing in Minneapolis. Dr. Raichle is actively involved in all aspects of this process and in assuring a smooth operation once the magnet is in place. Finally, as a member of the Steering Committee of the HCP, he brings nearly 40 years of experience as a scientist and administrator to the project's overall management. Dr. Roskos is an Assistant Research Professor of Neurosurgery and a Neuropsychologist who has experience in coordinating neuroimaging research, including MEG. He is coordinating MEG acquisitions at St. Louis University and consulting regarding MEG procedures and tasks. Dr. Roskos has conducted research investigating the effects of psychiatric illnesses, such as depression and anxiety, on functioning in individuals with traumatic brain injury (TBI). Dr. Roskos has also investigated the use of measures of cognition and psychiatric symptoms in people with neurological illness. He is currently involved in research examining neurocognitive testing and neuroimaging (MEG, fMRI, and PET/CT) in military veterans and civilians who have had TBI. He is also involved in neuropsychological clinical practice, as well as teaching of graduate and medical students. Dr. Sapiro is the Vincentine Hermes-Luh Chair in Electrical and Computer Engineering and Distinguished McKnight University Professor at the University of Minnesota. He is responsible for the HARDI data analysis techniques at UMinn that will ultimately determine how the HARDI data are acquired. In this capacity, he is coordinating his efforts with groups at Oxford and WashU. Dr. Schlaggar is the Ernest and Jane G. Stein Professor of Developmental Neurology and the Director of the Pediatric Neurology Residency Training Program at Washington University. Dr. Schlaggar is contributing his expertise to task selection, data analysis, and interpretation of functional neuroimaging, both task fMRI and functional connectivity MRI data. Dr. Schlaggar has many years of experience performing functional imaging experiments with an emphasis on developmental studies, but a substantial proportion has been on adults as well. His work has focused on fMRI and functional connectivity methodological development related to asking fundamental developmental cognitive neuroscience questions. His studies have contributed substantially to the understanding of how to compare functional neuroimaging data (task and resting state) from childhood into adulthood. Dr. Schlaggar has also been at the forefront of developmental functional connectivity MRI studies in both typically and atypically developing populations. Dr. Shimony is an Assistant Professor of Radiology at Washington University. Dr. Shimony is contributing his expertise in the acquisition and processing of DTI data. His research interests include the conceptual development and software implementation of new processing techniques. Dr. Shimony is a board certified radiologist and will evaluate the MR scans of any project participant identified as clinically suspect by the imaging technologist, and for treating such cases, as necessary, by the standard protocol described in the Research Plan. Steve Smith is a Professor of Biomedical Engineering and Associate Director at The Oxford University Centre for Functional Magnetic Resonance Imaging of the Brain (FMRIB). He is supervising and contributing to the resting-state fMRI parcellation and network modeling research, and contributing to FSL development and integration. 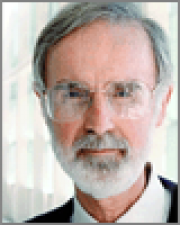 Dr. Smith started the FMRIB Analysis Group in 1997, which has produced the widely-used brain image analysis software package FSL (FMRIB Software Library). He has personally carried out research into brain segmentation, brain atrophy modelling, variability and efficiency in task fMRI, multi-subject diffusion modelling, statistical inference, resting-state networks in fMRI and network modeling. Dr. Snyder is a Research Professor in the Department of Radiology at Washington University. Dr. Snyder is maintaining and enhancing existing image analysis procedures with an emphasis on optimizing interoperability with the HCP informatics core (XNAT, Caret, SumsDB and FSL). Dr. Snyder has conducted research in all three modalities (R-fMRI, MRI tractography, electrophysiology) associated with the proposed research. His Ph.D. was in electrophysiology; his interest in image analysis developed as an outgrowth of experience with signal processing principles. Dr. Snyder will be responsible for creating and maintaining the fMRI preprocessing software (4dfp suite of programs) currently in use in the Washington University School of Medicine Neuroimaging Laboratory and in several other laboratories worldwide. He has particular expertise in image registration and timeseries analysis. Dr. Sporns is a Professor of Psychological and Brain Sciences at Indiana University in Bloomington, Indiana. His main research interest centers on the analysis and modeling of complex networks, particularly the structural and functional networks of the brain. He first suggested in 2005 that a full description of human brain connectivity, the "connectome," represents an indispensible foundation for cognitive neuroscience by allowing the mapping and modeling of how structural networks shape brain dynamics. He developed a widely used software package for network analysis, the "Brain Connectivity Toolbox." He is the author of Networks of the Brain, published by MIT Press. Dr. Sporns is developing data analysis and modeling tools for connectome data sets and contributing to the configuration and dissemination of data and software tools. Dr. Woolrich is an EPSRC Fellow and University Research Lecturer at the University of Oxford, and an honorary University Lecturer at University College London. Dr. Woolrich is providing expertise and advice in the modeling and statistical analysis of neuroimaging data. These include novel Bayesian methods that explore effective connectivity in fMRI using dynamic causal modeling. Dr. Yacoub is an Associate Professor in the Center for Magnetic Resonance Research at the University of Minnesota. He is responsible for pulse sequence development and evaluation at UMinn, both for 7T and 3T sequences and ultimately for the collection of the 7T data in Phase II of the project. He is also directly supervising the post-doctoral fellows employed for these tasks. Dr. Yacoub has expertise in high-field neuroimaging and pulse sequence development. Dr. Zacks is an expert on functional localization studies using fMRI. He will be a consultant for the task-activation localizations on our fMRI teams.